Custom-printed with your design and optional room-bed ID Numbers. Select from 10 sizes. 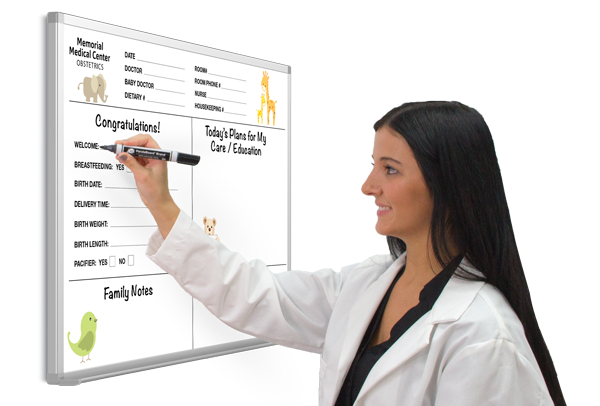 At patient bedside is exactly the place to display and update the information each patient needs to know about his day's care plan activity. Top quality, built to stay like new for lifetime of daily hospital use. Kits include magnets, marker, eraser and tray.